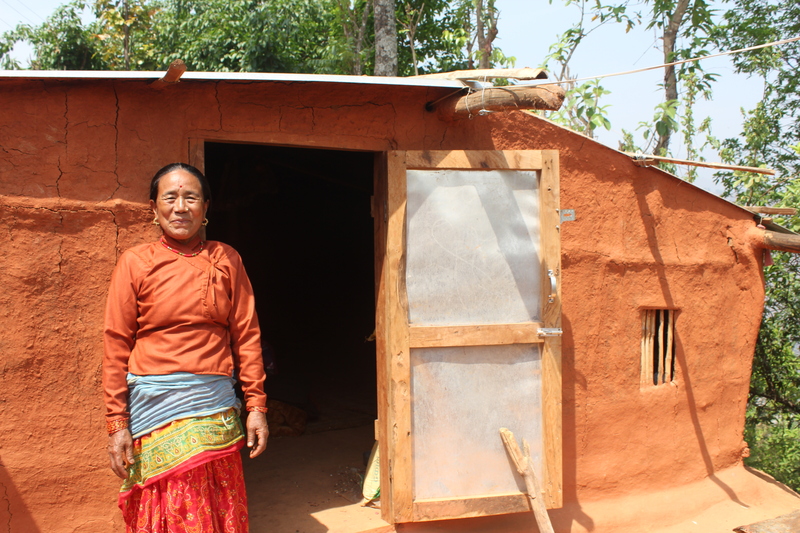 When the roof of Kanchi’s house fell down during the Nepal earthquake in 2015, it destroyed more than a building. It destroyed a home that the single mother of nine children had built with her own hands. But 63-year-old Kanchi is a survivor. She will not let this disaster become the end of her story. Kanchi had an arranged marriage when she was just 13 years old. Her husband had no land, but she left her parents home and village to live with him because it was tradition. Together they had 13 children, although only nine of them survived. Under a scheme run by the former King of Nepal, Kanchi was given some land that they could grow crops on to support the family. Soon, things between Kanchi and her husband turned sour. Then, he left her. Kanchi found herself bringing up nine children on her own, with no land on which to grow crops. She did what she could to support her family, breeding chickens so they could eat and sell the eggs. Through hard work and determination, Kanchi built a home from mud bricks and bamboo beams, and earned just enough to send her children to primary school. And then, on 25 April 2015, the earthquake struck. It was the worst natural disaster that Nepal had experienced in almost 80 years; it left nearly 9,000 dead, 22,000 injured and over 900,000 homeless. It destroyed everything that Kanchi had worked so hard to build. For several days, Kanchi slept out in the open air, occasionally venturing into her home to try to recover her possessions. But she never wanted to stay in the house for long because of the frequent aftershocks that sent people fleeing into the open fields, fearing for their lives. Despite the challenges posed by aftershocks, hailstorms, heavy rains and poor roads – Age International’s local partner arrived in Kanchi’s village, offering help. They spoke to each and every older person individually, to assess their situation and find out what was needed. Using the money that we raised during our Nepal Appeal, we were able to give Kanchi blankets to keep her warm, a solar lamp so she can see after dark, and money to buy food. We also returned some days later with materials for Kanchi to build a new home – one with a door and lock to keep her safe at night – and money to buy more food and chickens. Kanchi now has her own safe and secure home. She has a business to support herself. And she has the love and care of her small grandchildren.